Can you believe I've already scrapbooked all those photos that I had shown you previously? 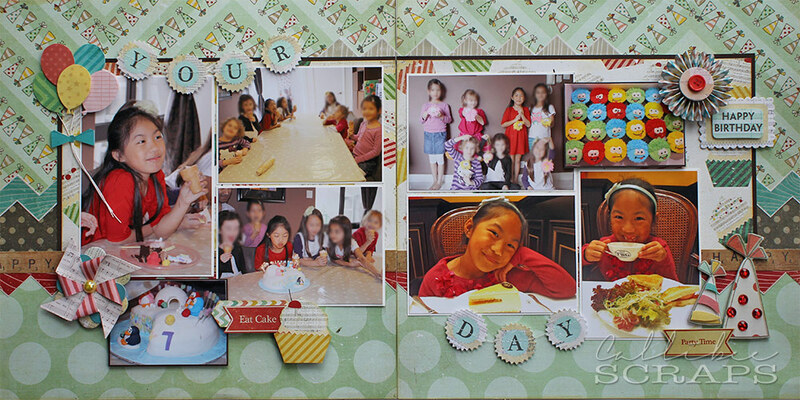 I got to work with this party collection, available at HKMC, and it made it so easy to scrap the photos. 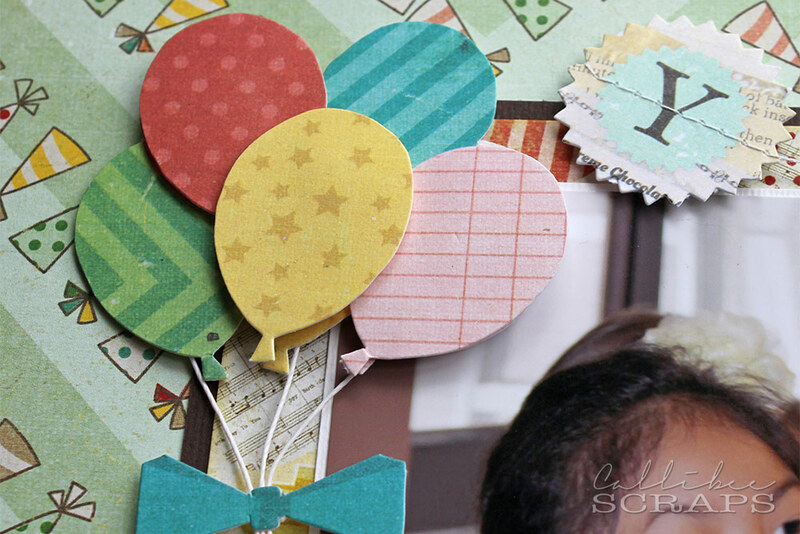 Such cute chipboard embellishments and the papers are so cute. I love the cupcake and party hat papers the best. 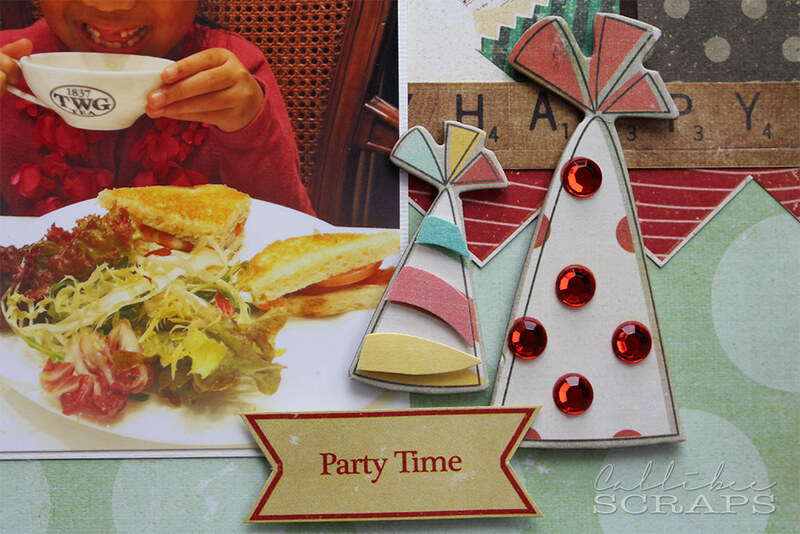 Just one pack of 3D embellishments pulls these pages together. Such cute chipboard party hats and love the scrabble border, which I cut from a full sheet of paper. What party is complete without balloons. Just had to have some - again from the 3D embellishment pack.